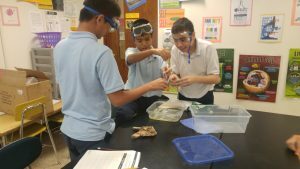 At Stevenson our students participate in a robust curriculum in the areas of: English Language Arts (Pearson), Mathematics, (ConnectEd Math), Social Studies, Science, Art, S.T.E.M., Global Awareness, Music, Drama, Journalism, Physical Education and Health. Our educational programs, while focusing on the individual child, emphasizes the critical relationship among these areas of study. To help our students reach the goals we have set, during students MTSS (Multiple Tiered Support Services) times, which are Wednesdays, Thursdays and Fridays. During this time many of our students work with the Compass Learning online module. 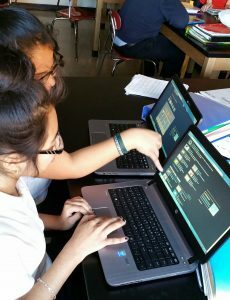 Compass Learning is a computer based intervention tool to increase student’s fluency and comprehension in English Language Arts and Math.